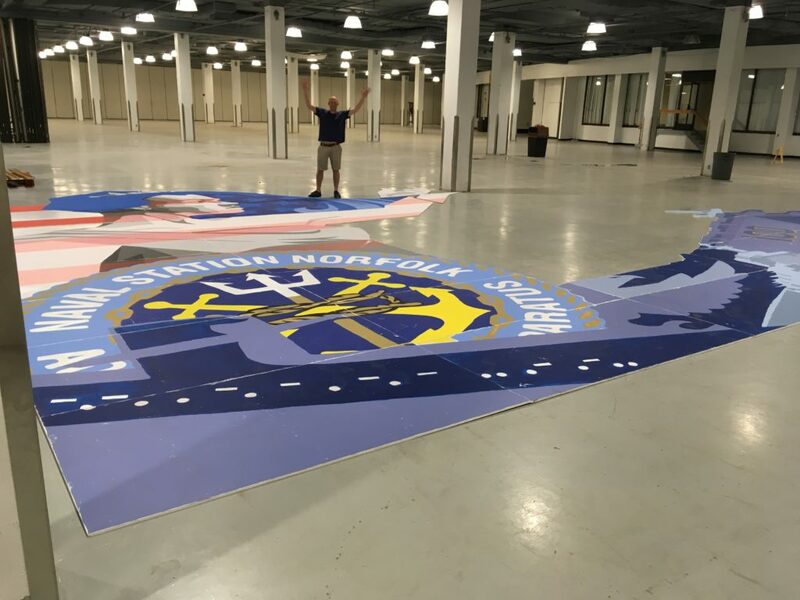 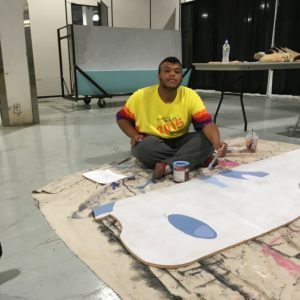 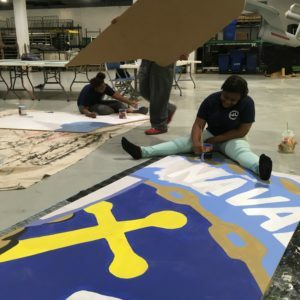 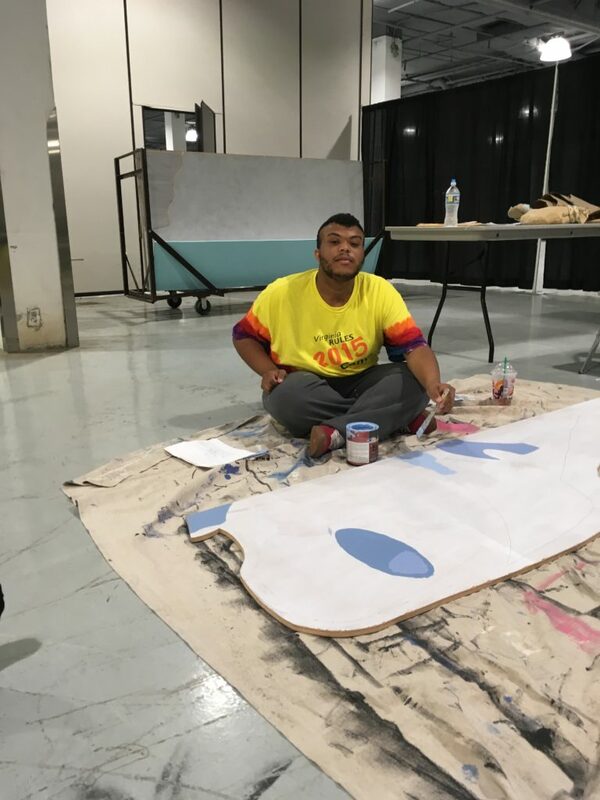 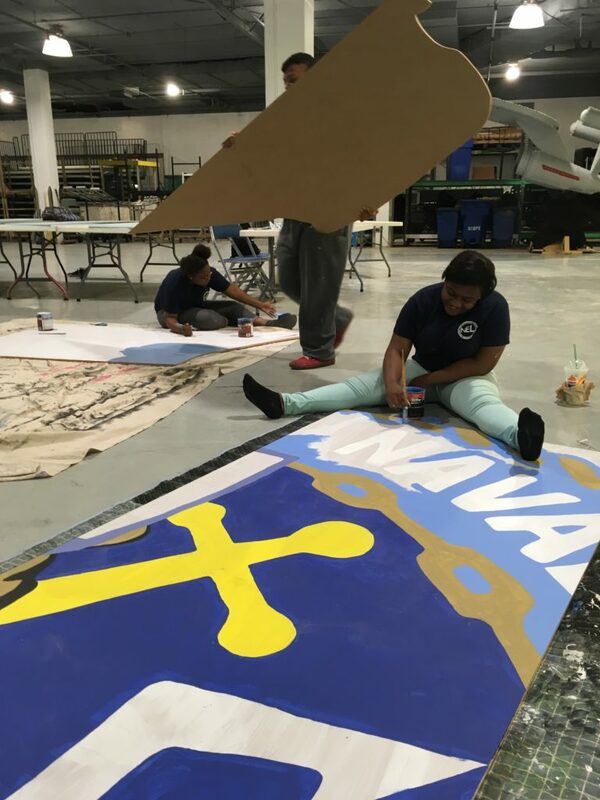 Fathoms of Freedom was designed by local artist, Christopher Kozak and painted by Norfolk teens during the Public Art and Norfolk Emerging Leaders summer program. 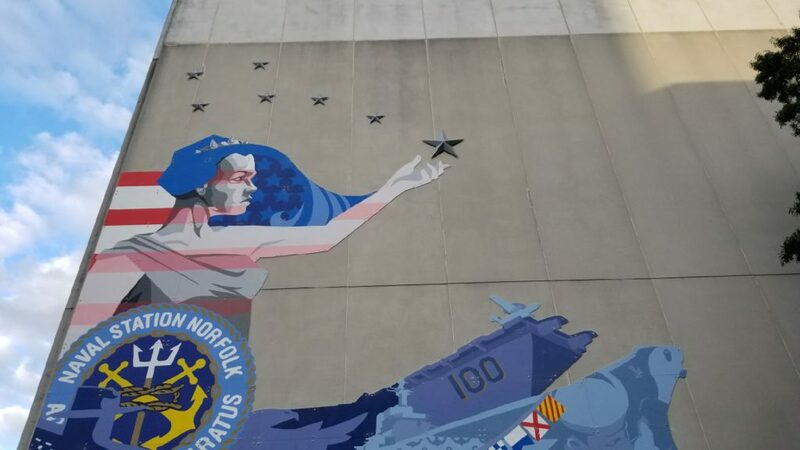 The almost 40’ tall mural features Columbia, the goddess representing the concept of liberty, holding the North Star with the Little Dipper lit above her. 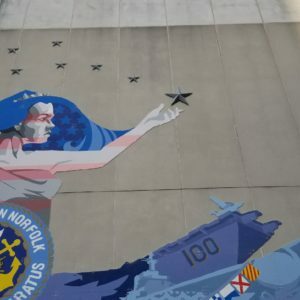 Sailors, ships, submarines and symbols of the Navy are collaged at her feet. 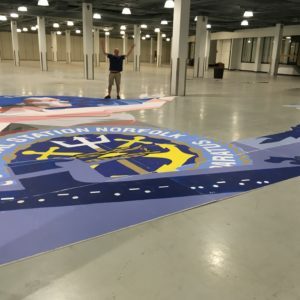 Fathoms of Freedom was dedicated on October 6th 2017.